Very low starting CL. To low for it to be a business card. After 6 months. CL was only raised 100 dollars. Trash. Cant even fill up my truck with this junk CL. Report on your personal credit not business. Considering my scores, I was pleased to get a business card with rewards. My initial CL was $2,000 and it hasn’t increased yet (almost 6 months on time now). My gripe, like everyone else, is this card goes against your personal credit rating. I had a chapter 7 BK about a year ago so I’m using all my credit cards to get my scores up. I’m approaching a 700 with all 3 bureaus already because I keep the usage low. I’ll max the card out and pay it off the day the payment is due. If you’re looking for a CL increase like I am, I believe this is the best way to go about it because I’ve shown Capital One I'm using the card to its limit but I can also pay it off. This is how they explained it to me when I called to ask for an increase and the best way to go about it. Hope this helps. Did it help? Just curious to know the update, if any at this time. 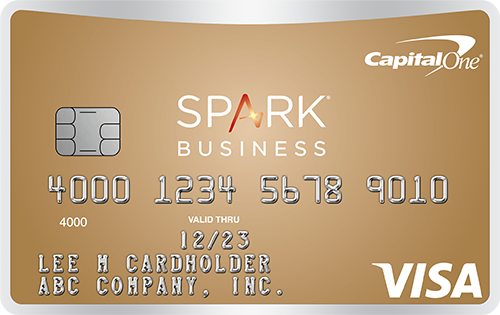 I talked to Capitol one and they Said using your card for a few small purchases and paying it off is the best way to get credit increase. Using it all and paying it off makes them think you are using your whole paycheck to pay it off and reusing it off the card. Irresponsibly using it as they said. Low limit for a business account. Hope they raise it soon. Hard inquiry on your personal credit! Applied and Approved. But during the aplication process they needed my companies EIN not a problem since its a business card but they also needed my SS on the application it said "Federal law requires us to obtain, verify, and record information that identifies each person who opens an account. As a result, your Social Security Number is required and used for identification purposes." No where did it say that my social would be used for a credit check or hard inquiry, thanks for dropping my score by 21 points for a $500 limit card.